An increase in games revenue helped Sony counter to an extent shrinking business in smartphones and the impact of earthquakes in Japan's Kumamoto region on production of the camera sensors that the company supplies to Apple and other smartphone vendors. Sony reported Friday that its revenue was down 10.8 percent to 1.61 trillion yen (US$15.73 billion) in its first quarter ended June 30, while its profit decreased by 74.3 percent year-on-year to 21.2 billion yen. The revenue of its game and network services unit grew 14.5 percent year-on-year in the quarter to 330.4 billion yen mainly because of a significant increase in PlayStation 4 software sales including sales through the network. Sales of PS4 games consoles rose to 3.5 million units from 3 million in the same quarter in the previous year. The games and network services unit is now by far the largest segment of Sony’s business by revenue, and the company continues to invest in it. 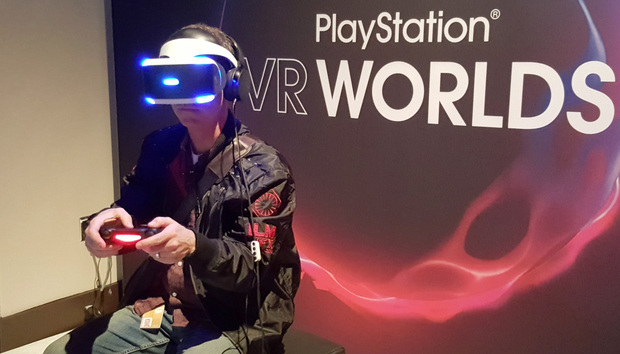 Sony's new PlayStation VR virtual reality system is scheduled to launch in October. The company has meanwhile been trying to pull out of non-core businesses and on Thursday said it had initiated the sale of most of its battery business to Murata. In contrast, the company’s smartphone business shrunk in the quarter by 33.7 percent year-on-year to 185.9 billion yen. The company has reduced sales of its mid-range smartphones as well as sales in unprofitable geographical areas, while trying to focus more on high value-added models. As a result, smartphone sales dropped to 3.1 million in the period from 7.2 million units in the same quarter in the previous year. The semiconductor business, which includes the image sensors, saw a 22.9 percent decline to 144.4 billion yen, reflecting the impact of a decrease in image sensor production due to the Kumamoto earthquakes and lower demand for image sensors for mobile products because of a slowdown in the smartphone market. Sales to external customers was down 21.4 percent year-on-year, the company said. The company has revised again its forecast for its fiscal year ending March 31, 2017, with revenue now expected to drop by 8.7 percent to 7.4 trillion yen from 8.1 trillion yen in the last fiscal year. Sony continues to expect net income to drop to 80 billion yen from 147.8 billion yen in the previous year. The company forecasts lower revenue from mobile phone sales for the year, with 19 million phones expected to be sold as against 24.9 million in the previous year. It expects to sell 20 million PS4 gaming consoles as against 17.7 million units in the previous year.